Ok, no let’s get more detailed. Disclaimer: I’m not educated well for the topic, so please take this into consideration, when judging 🙂 Here is short guide tour about YFULL service made by YFULL team. And for more details, u can read their FAQ. And attached URL. So I started worrying, maybe that is why delay? An important notice for those who have Big Y test results or ordered this test. FTDNA is updating its representation of Big Y result. The most important change is in human genome build. Until now, all your results as well as data in your VCF and BAM files were based on the hg19 human genome representation. As of today they will be displayed in a new hg38 human genome representation. 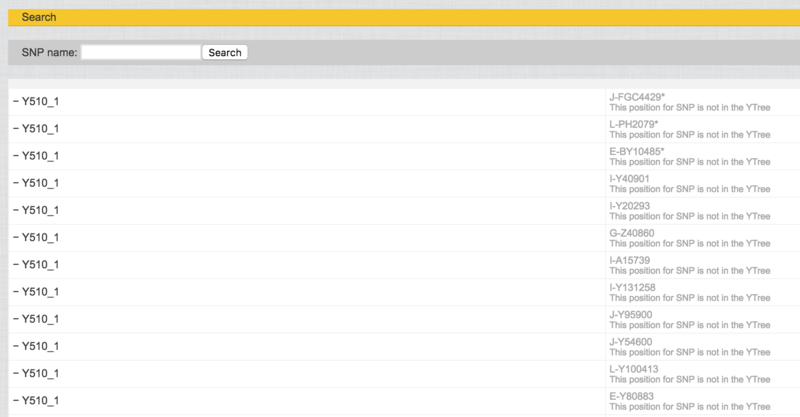 Maybe you noticed that you have „Results Pending“ page when you click on your Big Y section. You will be notified by email once your results are processed and ready. More about hg38 can be found here: https://www.ncbi.nlm.nih.gov/grc/human What does this mean regarding your results? It will not change your haplogroup. It will not affect your place in the haplotree. But it will change the position of your SNPs and your private novel variants. Some new features in your Big Y results representing are also expected. Ray Banks from ISOGG put the comparison table for the known SNPs here: Google Doc YBrowse.org is also updating to hg38. Btw, on YFULL, there is such page – HG38 Announcement, where we can read main info. Build 38 however gives some important advantages. (Build 38 was used by FGC for quite a while now, BTW.) It’s a much more accurate Y Reference Sequence, and therefore some regions of false Y sequence are eliminated, and some newly identified regions have been added. There are also some rearrangements of the existing Build 37 sequences. Therefore, when these “reads” (short fragments) are aligned – matched up to the Reference Sequence – they are more likely to “fit’ properly because the Reference Sequence more closely reflects an actual Y chromosome sequence. (A sequence however coming from at least *two* people in very different haplogroups.) Also, some reads may “fit” (be aligned to) some newly added Y sequences, so these reads that were formerly tossed out can now be used. The “false” Y regions also go away too, so there *should* be fewer “junk” SNPs, particularly in the Big Y. However, this doesn’t seem to be the case with the Build 38 Big Y itself. 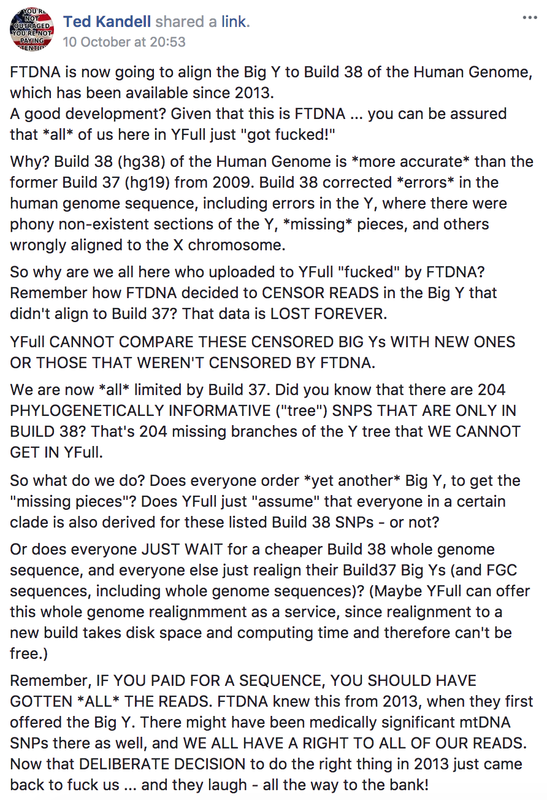 Since Build 38 was available in 2013, FTDNA should have been using Build 38 all along, and not doing so was just carelessness! 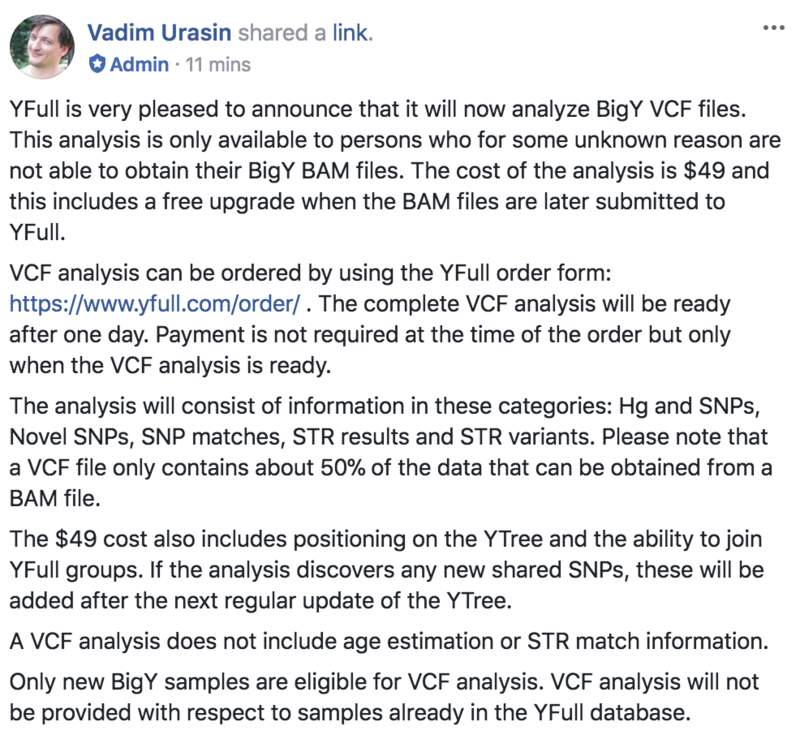 I uploaded/requested/ordered YFULL VCF analysis Jan-13-2018, and I hoped that at least those 50% of data can be analyzed first, before FTDNA continue BAM file generation, which happened in May-2018, and I had BAM file, so my final upgrade to BAM was for free on YFULL. Note: in blue color, I added information about closest IDs/profiles/neighbors, and I contacted them already. 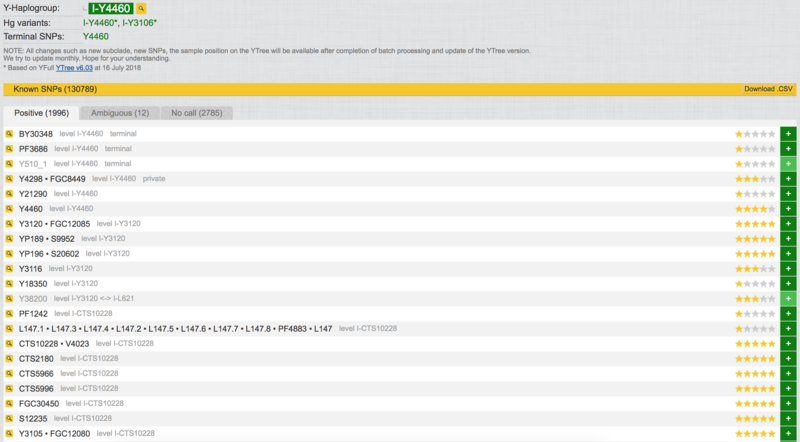 YFULL grouped information about SNPs under one section/menu with different sub menus. Known SNP – a SNP that has been discovered and named by YFull or by another organization or person. There is a list of organizations and persons at the end of the Positive, Ambiguous and No call tab. Positive SNP – a SNP with a mutation. Also called a derived SNP and a SNP variant. The mutations in a customer’s raw data sample (BAM file) establish the customer’s genetic path from the deep past towards the present. Negative SNP – a SNP without a mutation. Also called an ancestral SNP. 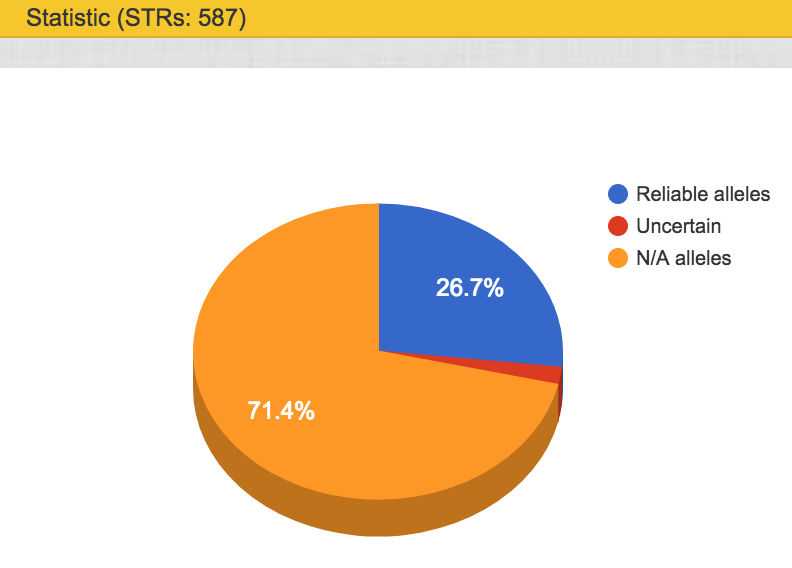 About 95% of a customer’s SNPs are negative. As expected, after analysis finished, I have ability to see available SNPs similar to my, and list of people who matches my DNA also. In FTDNA system, based on latest information from Big Y-500 test results page I have 127814 Known SNPs. 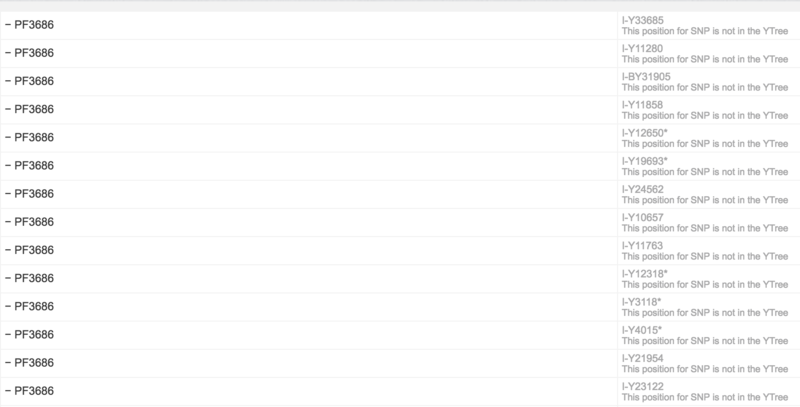 When I uploaded VCF, list of Known SNPs was smaller (114739) and now, after BAM upload YFULL shows more – 130789. From which, 1996 positive, 12 ambiguous and 2785 with “no cal position” (where B57 and Y3106 listed). When I download CSV file I can see all details. 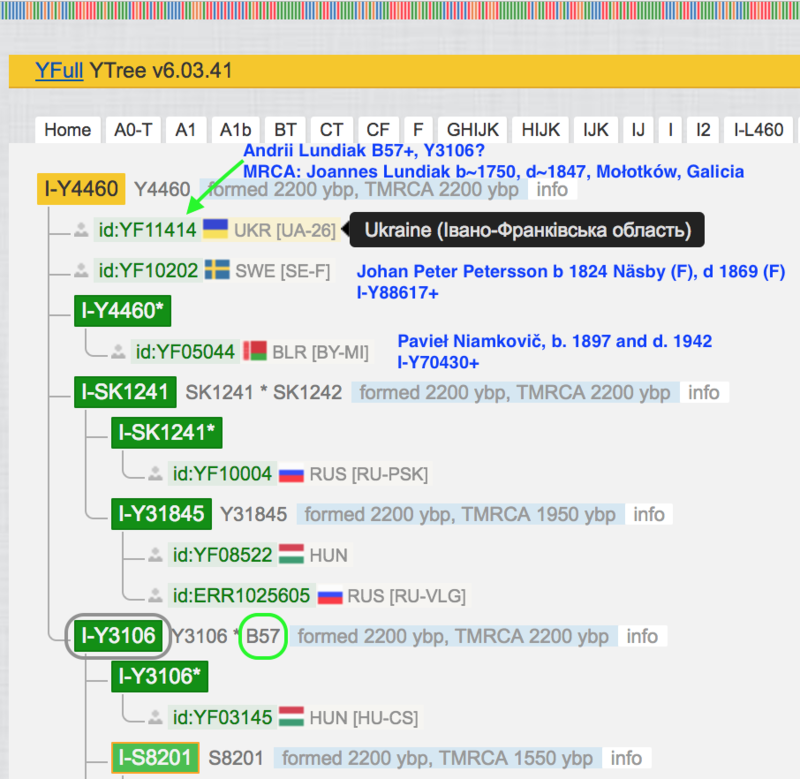 It shows my Y-haplogroup (Y4460), Hg variants (Y4460* and Y3106*) and Terminal SNP (Y4460). 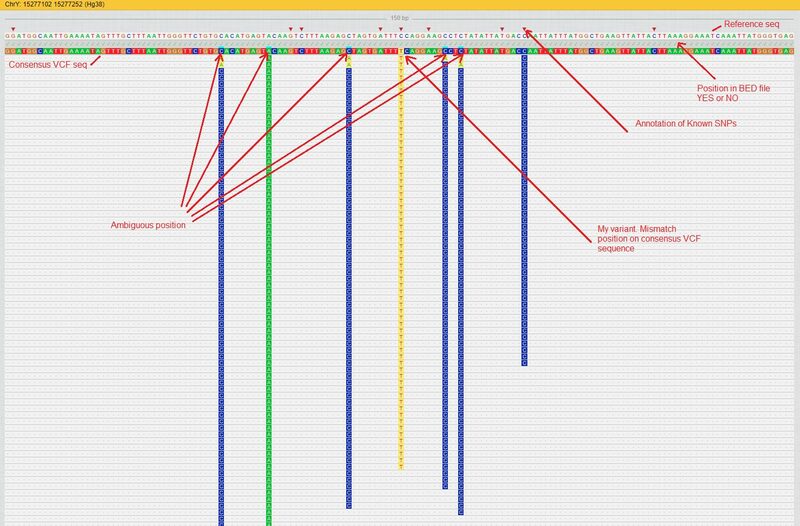 Those Ambiguous SNPs are very interesting, because in fact it shows, that despite the fact we have different haplogroups like R1a, I2a, G, N, E, etc, there might be mutation, in the same place of chromosome Y for all people, and it then kinda shared/common SNP. Not sure how it works on biological level, but this we definitely discovery for me. For example, SNP Z1950, which is ambiguous for me, in fact belongs to N hg. That is why there is no dedicated URLs https://yfull.com/tree/I-Y113 or https://yfull.com/tree/I-Y510_1 – these are not valid URLs. FAQ: No Call – for a specific SNP or ChrY position in a sample, the YFull analysis did not detect any reads or other information. As I guess, “No call” section/tab is based on all known SNPs, which are positive for someone else in database, but not found in my DNA at all. 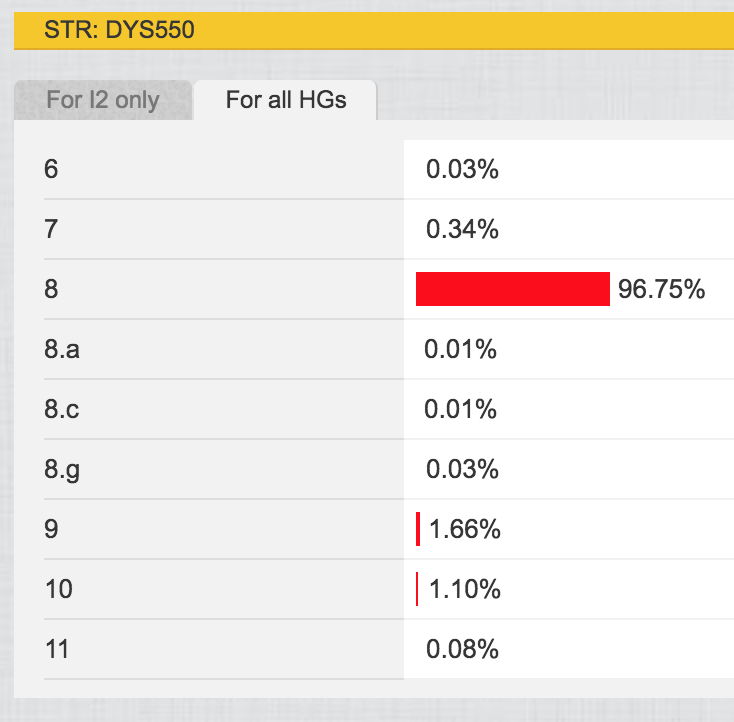 It’s odd, considering YSEQ.net gives me B57+ and neither FTDNA nor YFULL shows it at all. This is my main question for genetics research in 2018. 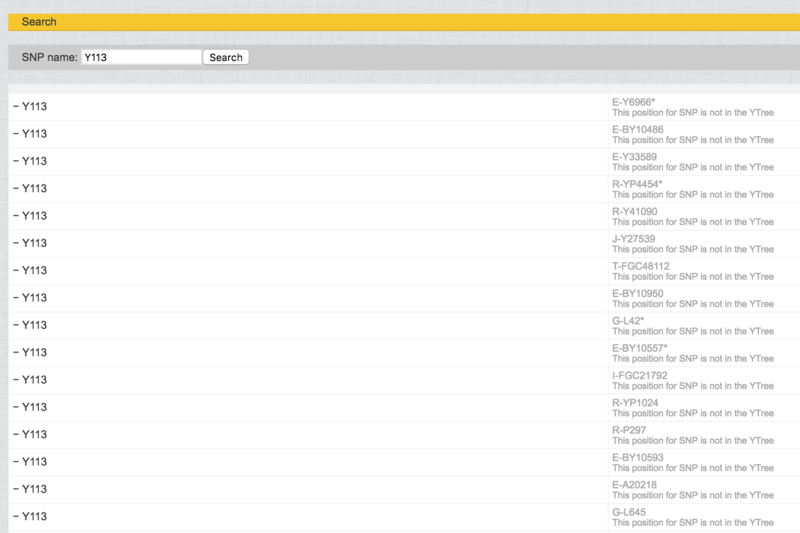 FTDNA system shows my 12 Unnamed results/entries, which are about positions in Chromosome Y, without defined name. 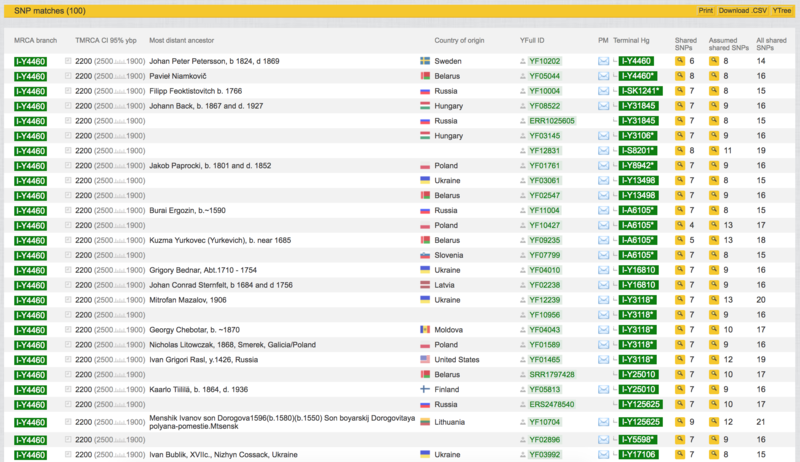 Zdenko Markowic from FTDNA also mentioned, that my DNA results show 19 private novel variants. Private SNP – A SNP in a sample in the YFull database is considered private until it has been matched in another YFull database sample with the same “localization”. Novel SNP – One type of Private SNP. See FAQ Definitions for Private SNP and YFSxxxxxx. YFSxxxxxx – The series of SNPs used to designate YFull’s Novel SNPs that have not yet been added to the Yxxxxxx series by YFull. Sometimes called “YFull singles”. So I have 10 best qual Novel SNPs and 5 Acceptable qual SNPs. Some of Novel SNPs are marked with char G, which is about gene. For more details SNPedia.com will help. Or Promethease report. This is new after BAM upload. Age estimation is always important and interesting. Note: Jul-2018 it was 2300 ybp. and now Sep-2018, it’s around 2100 ybp, when first Y4460 mutation appears in male person Y chromosome. YF11414 is my account/profile ID, and if this goes somehow unique in future, there will be SNP with my name. This information appears ONLY after BAM file upload. Before that, using VCF file, YFULL didn’t show me mtData. But in fact, now there is not much info. Not sure at all, if BAM contains mtDNA data, I kinda doubt. Need to research more. 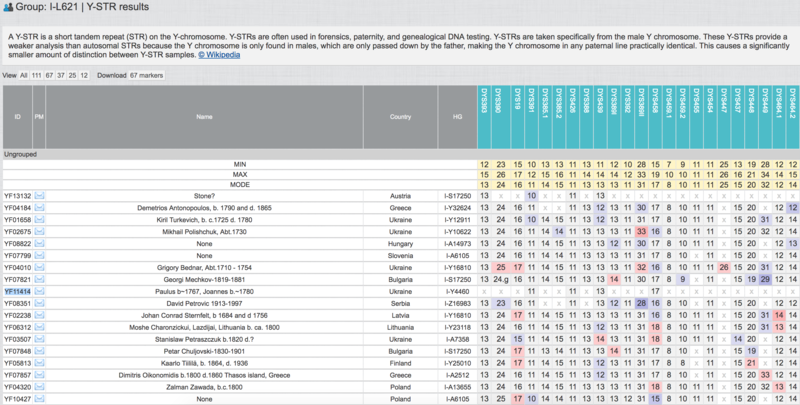 YFULL gives ability to search/look my raw data using chromosome position. It shows, that YFULL system recognize/remembers hg19 position with number “9028830” but also, new hg38 position “9191221” is already in use. Known SNP in this position is Y4460, and it’s mutation from G to A, which I have also, and this is exactly how it process I’m positive. 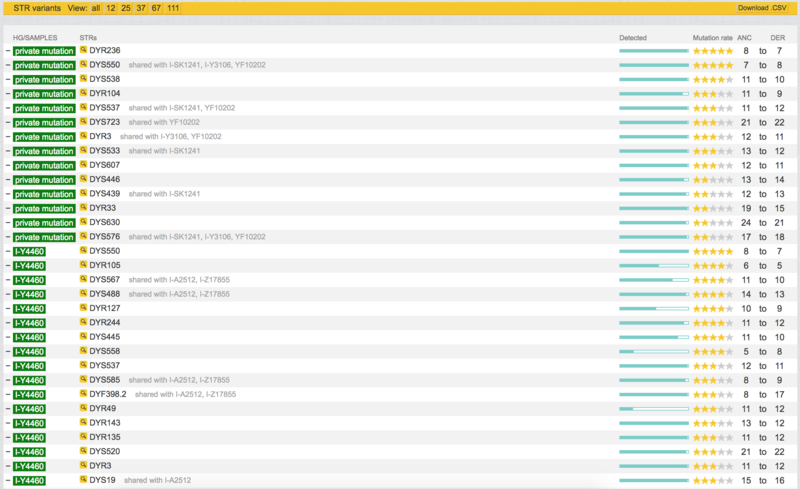 There is also information from YBROWSE service, which shows more details about SNP. 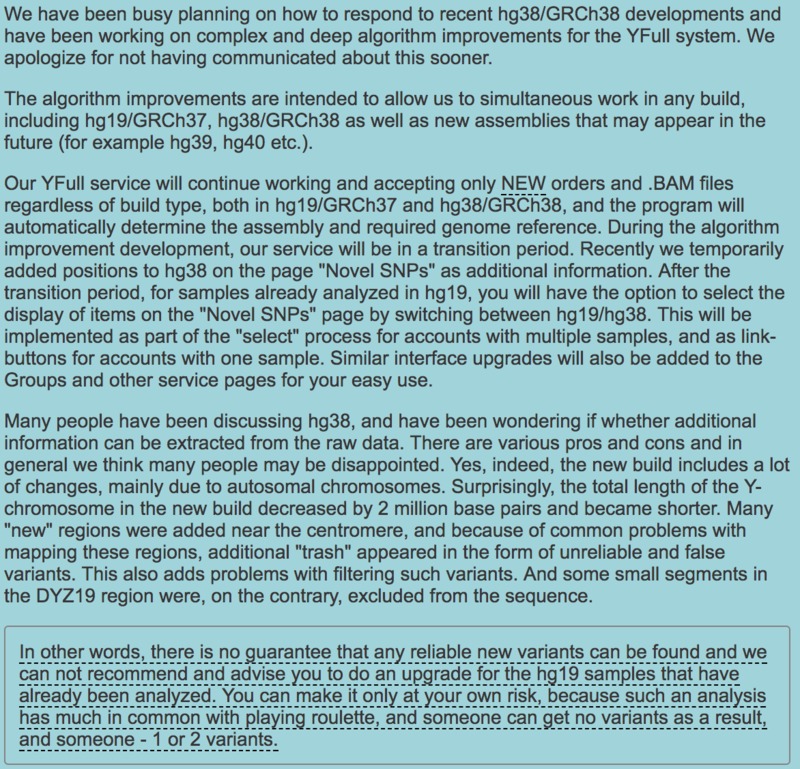 From FTDNA, even after BigY test, even after I have BAM file, it’s still not clear about B57 and Y3106 for me. YFULL says “no call”. The same situation with Y3106 – “no call position”. And also, I’m positive for these SNPs: FGC63213, Y128937, BY51714. Same as that new Lithuanian man. Still no clue about “no call position” in regards to B57 and Y3106. Yes, it showed, that B57- and Y3106-, and as far as I knew, it’s because of less information from VCF file. For sure, this viewer might be not relevant anymore, because most of people upload BAM files. I would expect, at least hint/title. Because I may suspect, that there is no known results for B57 to be positive. But I’m not sure. Same view for Y3106. Based on VCF analysis Y510_1 was negative for me, but after BAM is positive. Based on VCF analysis Y21290 was “no call position’ for me, and now after BAM it’s positive. Based on VCF analysis, Y129345 was “Acceptable qual” novel SNP for me, but now after BAM it’s “Best qual” novel SNP. Based on VCF analysis, BY148115 was “Low qual” novel SNP for me, and now after BAM it’s “Best qual” novel SNP. and many other similar changes. – 2785 (2.13%) (and I suspect I should be based/related to recent BAM results). So where is the truth? 2785 (2.13%) or 2776 (2.15%)? 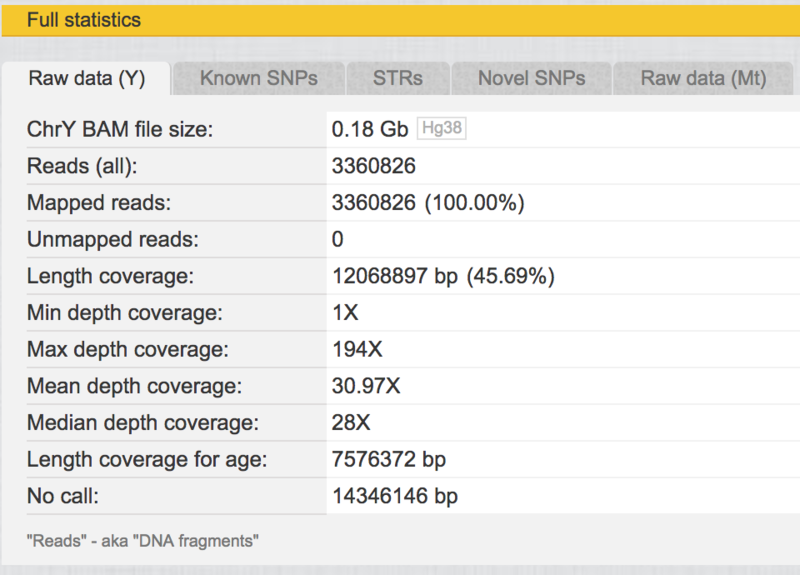 Upgrades \ Statistics for BAM shows 129007 Known SNPs. Again, I assume it should be the same as in raw data. VCF: “Novel SNP” in (hg38 pos. 11506442) and marked as private in “Best qual”. BAM: “Hg and SNPs” \ Positive. Found in search as SNP on CTS10228 level. VCF: “Known SNPs” on Y4460 level, marked as private. 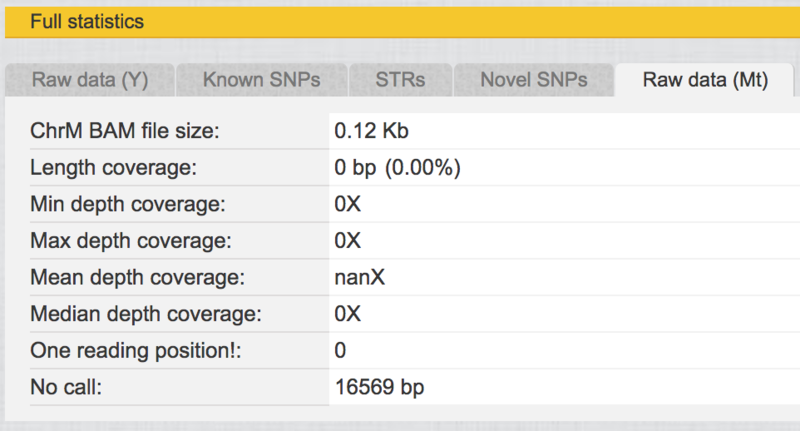 BAM: “Known SNPs” on I2 level. Found in search as ambiguous. 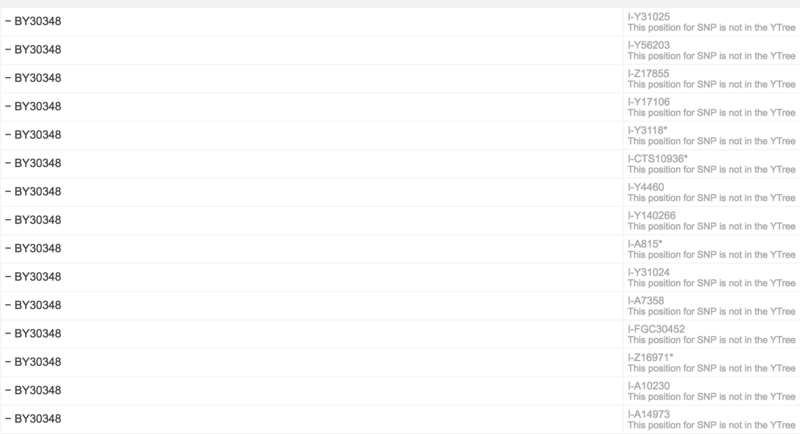 Just a short snapshot – list of SNP matches – people, who does have the same terminal SNP, or at least close with haplogroup. This list reflects people / accounts which are listed under Y4460 tree branch. When VCF analysis done first, the number of shared SNPs, Assumed shared SNPs and All shared SNPs were much bigger. Not sure why – was it a bug or some algorithms changed after I upload BAM file. So when VCF analysis done first, there was no STR info. But after BAM file uploaded, I have STR results and even STR matches. Similar data as in FTDNA system, slightly changed in view. So far, matches are far from me (from Y4460). Even close matches are mostly from neighbor SNP S17250. But it’s STR level of matches. This is dedicated YFULL page, where ALL SNPs shown since Adam till now. It’ huge but shared URL with public. Have a look. 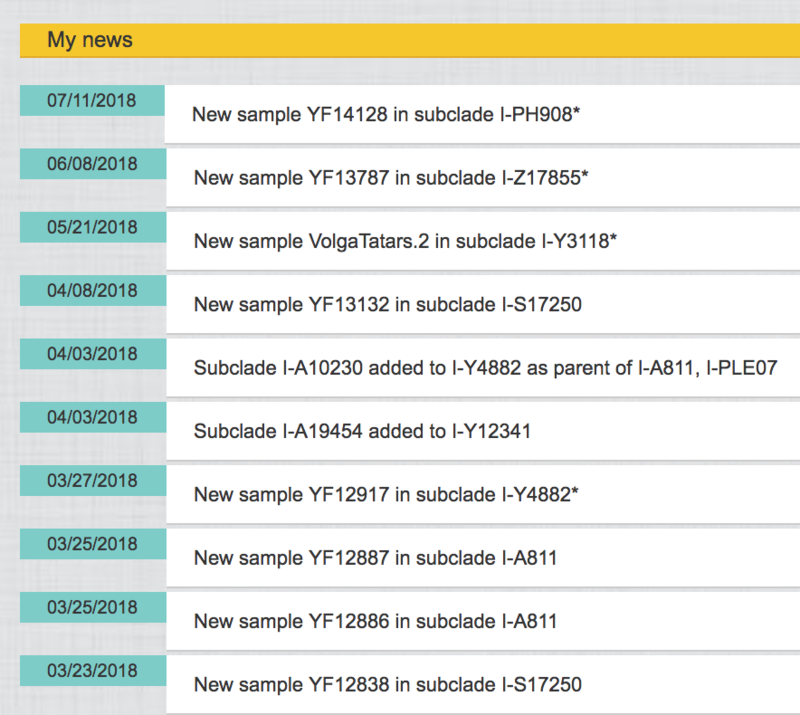 SNPs section also shows some News – updates on YFULL system. Not really useull for me so far, but still nice. So essentially it’s the same data as in FTDNA system mixed with YFULL system.So far not much new stuff. B57 and Y3106 are kinda of “no call position”. Wasn’t mtDNA in the early BigY bam files but FamilyTreeDNA scrubbed them later on so it wouldn’t compete with their mtDNA offerings? I don’t know. But for me it’s surprise or simple mismatch of my expectation, that BAM file contained/contains mtDNA info, assuming this all is about yDNA. Anyway, I plan to request YFULL support to explain how BAM file looks when it contains mtDNA info and when it’s not. Maybe it’s different file though.